Housing society residents from across the country are moving from ornamental and beautiful doors to energy efficient doors that provide the required insulation, helping them save money.Depending on the housing society, such energy efficient doors are installed in all flats. If your housing society does not feature such doors, you can have them individually installed. How Do These Doors Help? These energy efficient doors are made of materials like wood, glass and steel fiber that help in conserving energy within the house. The cold and heat exchange levels are kept at a bare minimum so that the insides of the house don’t turn too stuffy or too cold. These doors provide suitable insulation for the house and this can negate your need for buying heaters or air conditioners, helping you save a lot of money. These energy efficient doors also prevent pollution, insects and bacteria from entering the house, and you’ll be less prone to diseases. During winters, the humidity in the air is normally very low. These doors will help in avoiding static shocks in such situation and they can keep the house cool all through the summer too. The most common material used for insulation is polyurethane foam. Glass is not suitable enough for insulation so modern glasses need to be used. There are certain materials such as fiber glass skin that have weather stripping properties. The openings in the door that allow the exchange between the outside and inside space are sealed. In most cases the original doors are removed from the housing society flat and two frames are kept in place. The door is then sealed with the help of foam that prevents air from going in and coming out. Foam is used as it has a major property of thermal insulation. There are various types of energy efficient doors that are designed for specific areas. There is the storm door which is an outer insulated door placed on the external surface of the regular door, and this prevents the house from heavy rains and bad weather. Garage doors are made of insulated aluminum and these prevent corrosion of the vehicles and other appliances. Patio doors are difficult to insulate but outer and inner sides of the door can be somehow insulated. There are a few things that have to be kept in mind while choosing an energy efficient door, as the door should be resistant to weather, it should not be corrosive in nature and the emissive nature of the material should be low. Most importantly the door should be easy to install. Double layers provide better insulation than a single layer. Energy efficient doors range from Rs 9000 upwards; but they are low maintenance, so you don’t have to worry about extra costs. Depending on the type of installation, the price can vary. You can invest your money in such doors rather than in other options like heaters and coolers and these are ideal for housing society flats. In this age of cutting-edge Technology and Science, Biometric technology is gradually becoming a useful tool with a bunch of myriad applications. Biometrics technology can be found everywhere: in schools, companies, organizations, libraries and offices, irrespective of the size of the organization. The type of applications that can be implemented through the Biometric technology is diverse, ranging from visitor management service to face recognition systems. Electronic attendance is one of the biggest advantages of the Biometrics technology, and it is a great help in maintaining a procedure and security levels. This biometric time attendance is generally used to maintain a record of each and every visitor coming into your apartment and to track down whether he or she really is the person who is supposed to come. A face recognition system can be installed to cross-check the person’s identity and maintain his check-in time and check-out time along with other details. The Biometric attendance system has a lot of advantages over the conventional methods of security that are usually implemented at your place. Maintaining a register where people manually note down their entry and exit timings might have flaws sometimes, and it is also time consuming. The biometric system erases the possibility of any error and it is quite efficient. The technology has evolved into a very user-friendly system that can be used by anybody. The process is very fast as the user has to just glance towards the biometric face recognition system, and all the details will be recorded automatically and accurately. The possibilities of buddy punching, early punching and late punching can be carried out with a lot of ease. The biggest advantage of the Biometric attendance systems in homes and apartments is the amount of security it provides. Business organizations can integrate the biometric system to their account systems, billing systems and payroll systems. Home security is a major concern in the present day world considering the alarming rate of crime and burglary taking place. With the new range of biometric security systems such as alarm systems, EM door locks, video door phones and fingerprint RFID door locks your home is totally safe and secure. You don’t have to worry about leaving your house for a long vacation. The biometric processing is an entirely machine to machine process and hence the processing is faster and better. Biometric attendance system is a more refined way of managing security in your apartment. This system also has a database where all the details of the visitors can be stored. Biometric security is easy to maintain and more accurate in pointing and alarming you in case of threats. The face recognition or the fingerprint reader system can be installed in your home. These systems are easily accessible now-a-days and come at an affordable price. Moreover, when it comes to the maintenance of the security in your home, you should not compromise on the quality of service. Renovation or modification work often involves hiring skilled laborers for getting specific jobs done, such as carpentry, cementing, painting and electrical works. Having to rely entirely on the laborers leaves a home owner clueless in most circumstances. Here are a few suggestions and tips to help you effectively manage the laborers working on your construction projects. 1. Where do I find laborers, and how do I approach them? Laborers seldom have a hiring agency where you can go and contract the desired labor. You will most probably have to ask around and see if any of your friends, relatives or acquaintances knows any laborers that they have worked with before. Another possible way to source labor is to visit construction sites and ask the contractor or supervisor if they know of any laborers who would be willing to work on your project. 2. How many laborers do I need to get the job done? It is a bad idea to ask your laborers how many of them you would need to complete the job. It’s essential that you have a fair idea about the work that needs to be done and the amount of labor it would require. You need to be able to set down a definite number of workers or you’ll be scammed into hiring excess labor at your expense. 3. For how long do I need the laborers, and how do I fix the remuneration? Laborers work on time schedules and charge by the hour or by the day. You need to work out the timelines before you begin searching for laborers. Be realistic, yet firm on the deadline. Regarding remuneration, it’s best if you spoke to different laborers or people you know who have recently hired laborers and enquire about the average pay. The cheapest laborers may not necessarily be the best. Go for the ones who promise to meet your deadlines and yet charge reasonably. 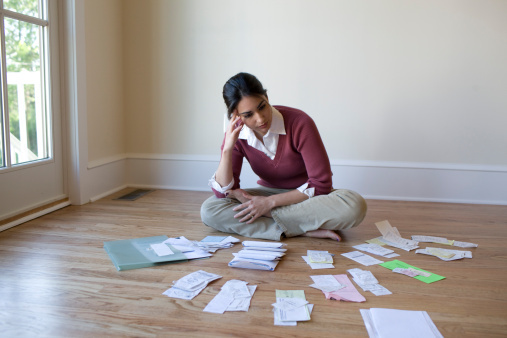 Make sure you settle the payment policy beforehand, i.e., hourly or daily rates, payment schedule and advance amount. 4. What is the most effective way to communicate with them? Communication is very vital for the success of any endeavor. Most laborers will be migrants from other states. Not being able to communicate with them will result in frustrations and unnecessary delays. Make sure you hire labors who speak a language that you are familiar with. Also, ensure that all the laborers speak a common language so that the work goes on smoothly among them. 5. How should I handle or supervise the work that they do? Be polite and patient with your laborers. The worst thing you could possibly do is to drive them away with your anger or persistent interference in their work. Give them precise orders and let it to them to finish the job. Losing your temper and yelling at them won’t make them do their job better. The key to successfully completing your construction project is to effectively manage your laborers. Communication and team work are more likely to work than dictatorship and highhandedness. 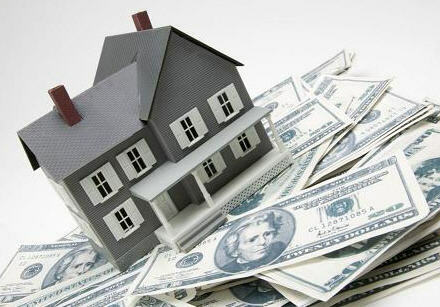 NRIs very commonly inherit immovable property from their family or relatives in India. Not knowing the correct procedure for transferring the inherited property into their name can lead to unwanted legal complications and added expenditure. Here are some common FAQs that will help you make a hassle-free transfer of property that you might have recently inherited. What is the procedure for transfer of property? The transfer property is done through mutation of revenue records or the transfer of khatha. The mutation of revenue records involves updating the details of the new owner of the property in the record books of the concerned Municipal Corporation or village panchayat. What documents do I need to apply for a transfer of property? Registered Will: Even though it is not mandatory to register a Will, registering a Will makes it a valid legal document. Make sure you have a registered Will to avoid any future complications. Succession Certificate: A succession certificate from a competent court is required in the absence of a will. In order to obtain a succession certificate, heirs need to submit the death certificate of the deceased, birth certificates of the heirs, bank statement of the heirs, and a copy of their ration card(s). Original Purchase Deed and Registration Documents: Make sure you have the original purchase deed and registration documents. For older properties without original purchase deeds, the heirs need to obtain certified copies of the title deed from the concerned land registrar’s office. Encumbrance Certificate: The encumbrance certificate contains records of all the transactions that were made concerning that property i.e., sales, lease, mortgage, gifts, partition, and release. Make sure you have an updated encumbrance certificate. Khatha: Khatha bears record of the property owner’s details such as his name, type of property, and taxation records. The khatha reflects the payment of annual property taxes, and differs from the property registration document which shows the sale or purchase of the property. How can I avoid future legal issues or complications? Make sure that a Will is made and duly registered. A fresh Will can be drafted and registered anytime. For legal purposes and transfer of property, the last registered Will is the one that is considered. 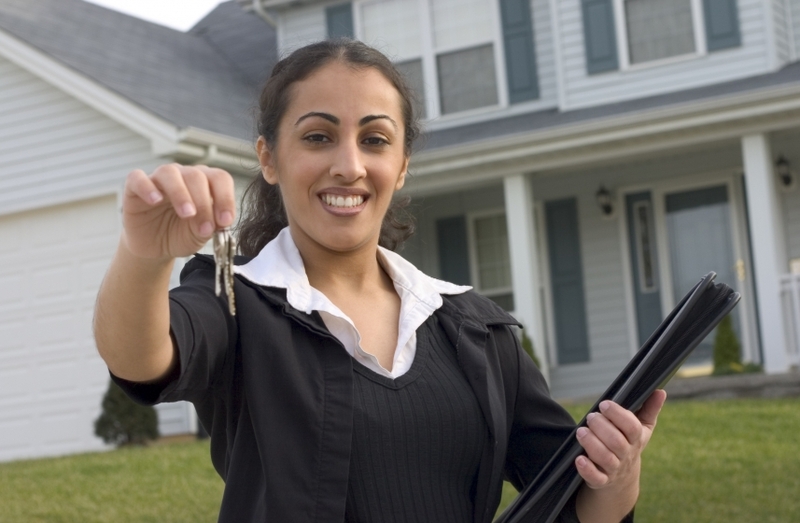 Make sure that the required documentation is done for individual property in order to establish ownership. It is always better to keep the title of the property updated in the current owner’s name, even if there are no disputes among family members. Make sure that matters pertaining to property sharing and inheritance are discussed and agreed upon by all siblings to avoid future legal hassles and other complications. Owning and transferring the title of a property in India can be a relatively easy process, provided you get all the documentation right. 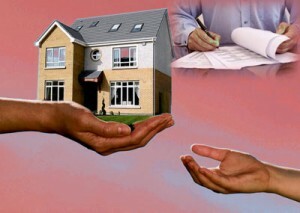 It is advisable to seek the aid of a reputed legal counsel or real estate agent in order to handle all the paperwork as you most probably will not have the time to apply for the transfer procedure yourself.